The windsmock was a valuable piece of kit ... Awesome. Ben Kane, Guide, Field Touring Alpine. 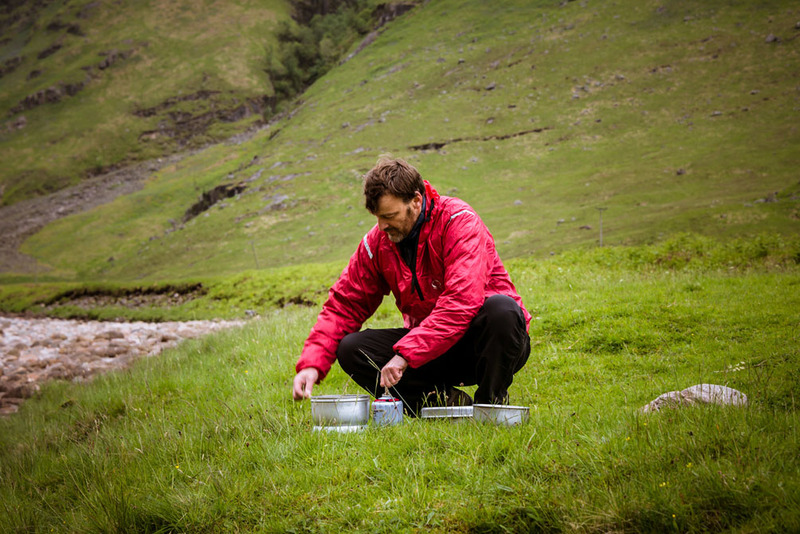 Total windblock for your fleece from this tiny lightweight shell. Now also available in custom sizes. This smock is now also available in custom sizes. 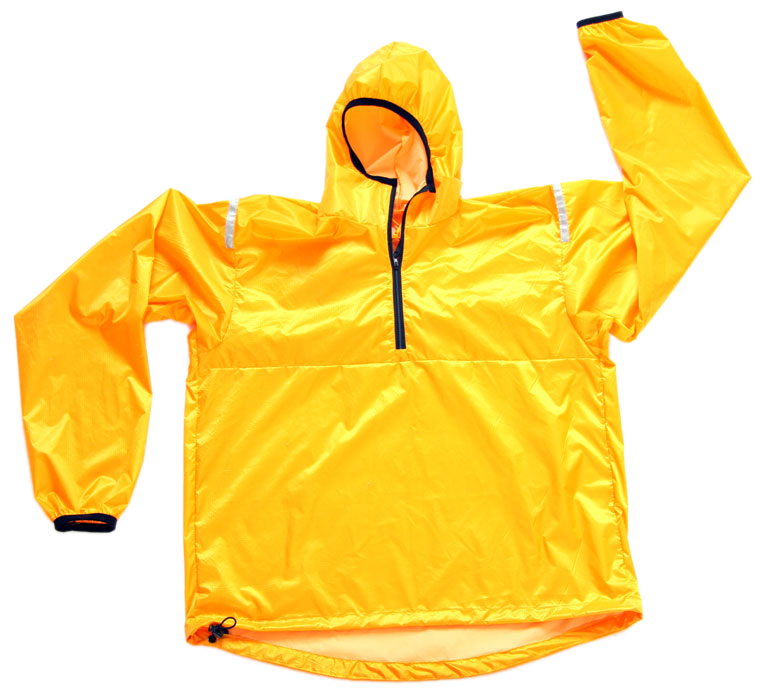 Specify Body Width, Body Length, and Arm Length independently to order a made-to-measure windproof smock. This tailor-made service can cope with sizes from XXXS to XXXL and is ideal if your chest/waist to height and/or arm ratios differ from standard, ready-to-wear patterns. This little scrap of fabric unfolds into a pull-on which will cut out the wind and transform the performance of your fleece. Walking, biking, camping, this may be the most effective few grams of comfort you can take with you. A fold-down hood provides an extra degree of warmth when you need it. Please note: If you order a custom-sized version of this smock it will take longer (approximately 45 days) to be manufactured ready for dispatch. Custom-sized versions of this smock are not returnable and customer loyalty discount cannot be applied. The PHD Sizing Chart below is based on measurements without clothing, exactly the way you would buy a shirt or a sweater. A 42" (107cm) chest means that your bare chest uninflated measures 42". Inside Arm is measured from armpit to wrist-bone. 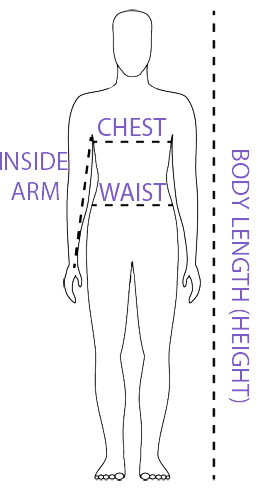 Once you've selected a Body Width you can choose Body Length and Arm Length up to two sizes bigger or smaller. For example, a jacket with a medium (M) Body Width can be XS, S, M, L, or XL in Body Length and XS, S, M, L, or XL in Arm Length. If you have any questions about your size, please contact us. Down Jackets are sized to fit over thermal underwear & fleece. 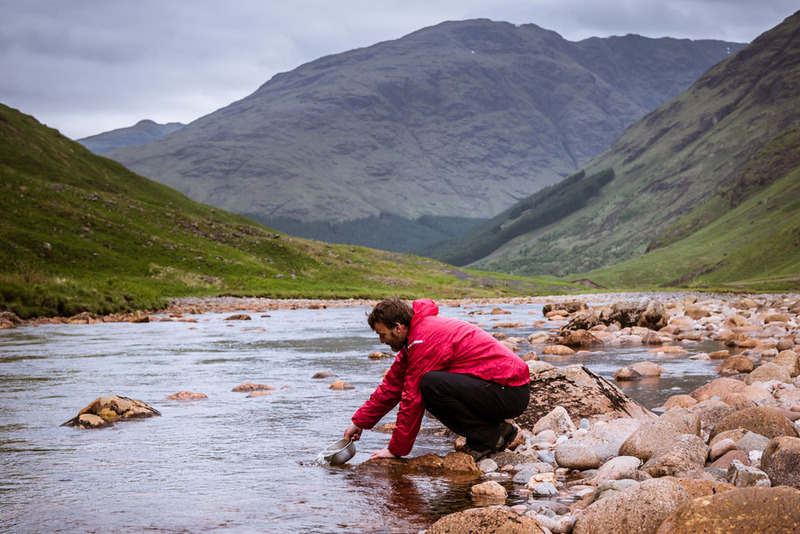 Shell Jackets are sized to fit over thermal underwear & fleece or light down clothing (e.g. Minimus Jacket): to cover thick down clothing, go up one size. 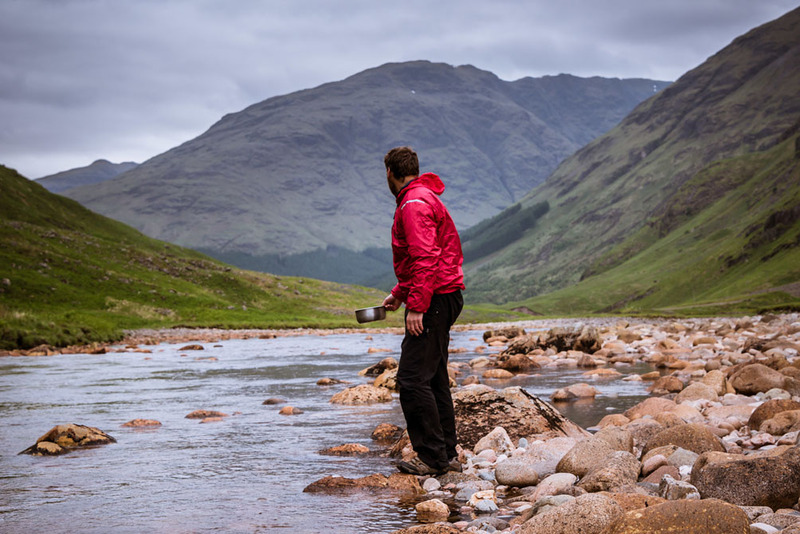 The arms of our outdoor jackets are designed to be long enough to keep your wrists warm when your arms are extended horizontally (when using trekking poles, for example) or when you are reaching above yourself (when climbing, for example). In this respect the arm lengths of our jackets differ from street/fashion jackets. "The windsmock was a valuable piece of kit. I managed to do without a heavy waterproof shell for the whole season in favour of the Drishell Windsmock. It layered well and compressed down to nothing, breathed exceptionally well and shed snow and light rain. Awesome." — Ben Kane, Guide, Field Touring Alpine.